A tale of swashbuckling pirates, rodents of unusual size, cunning Sicilians, murder, torture, chases, blood-thirsty vengeance. And, perhaps more than anything, a story of love, true love. The undying romance of souls entwined in destiny and the deep emotions shared between an ill child and his infinitely patient grandparent. 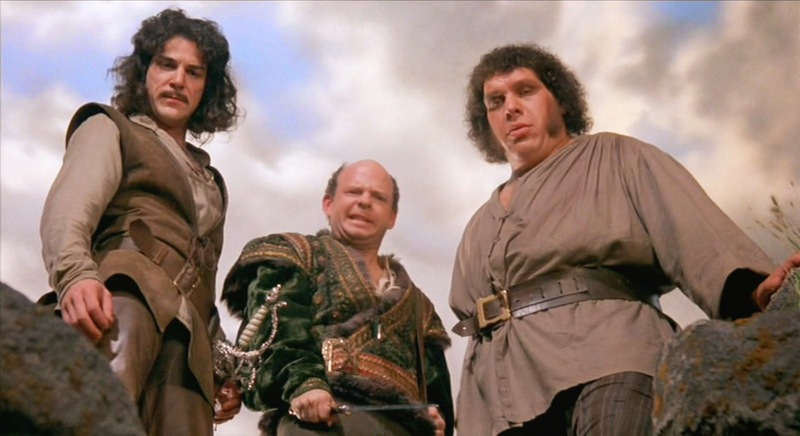 The Princess Bride is each of these and, unbelievably, so much more. The film's title is taken from a lengthy tome which a young child, wrapped up in bed and ill, has read to him by his grandfather. Sure, there's kissing involved, but, they agree, perhaps they can skip past those parts and just focus on the exciting bits, the parts with giants and electric eels, the cliffs of insanity and duels to the death. Maybe the book is not as soppy as the title sounds? As we settle down to listen to the grandfather's recital, a role sculpted by the immense charisma of Peter Falk, our cynicism melts away as we're presented with a fairytale as enchantingly sincere as one can imagine. We're introduced to Buttercup (Robin Wright), a young and beautiful woman who lives on a farm in the country of Florin. She is served by shy and unwavering farm boy who happily obeys her every command with a content "As you wish". Buttercup realises the subtext of the farm boy's words and deeds - he loves her and, to her surprise, her heart reciprocates the same feelings too.Tragedy strikes, however, when Westley (Carey Elwes) leaves to find a fortune so they can marry - his boat is hijacked by the legendarily merciless Dread Pirate Roberts. There are no conceivable reasons as to why an anonymous farm boy should be shown clemency by a pirate known to leave behind no survivors. Buttercup, heartbroken and alone, prepares for a life without Westley. Five years pass with no sign of her one and true love returning so, against her better wishes, Buttercup agrees to marry the oleaginous Prince Humperdink (Chris Sarandon). Little does she know, however, her new relationship puts her in grave danger and she is kidnapped by a trio of outlaws - Sicilian mastermind Vizzini (Wallace Shawn), a Greelandic giant named Fezzik (Andre the Giant), and a Spanish fencer Inigo Montoya (Mandy Patinkin) who seeks nothing less than brutal vengeance upon the six-fingered man who slayed his father. Humperdink and his army set sail after the boat manned by the outlaws and heading towards the cliffs of insanity. As does a masked man dressed entirely in black. Buttercup fears for her safety and looks to jump into the ocean to escape - she is warned of the shrieking eels which live under the waves and grow louder in sound as they prepare to dine on human flesh. The grandson (Fred Savage) believes this bit to be too scary and asks to skip this part. Will Buttercup survive? Why have the trio kidnapped her? Will Montoya get to live his dream and say the words: "Hello. My name is Inigo Montoya. You killed my father. Prepare to die"? And who, exactly, is the man in black? Rob Reiner directs the film with knowing austerity leaving the flair to the actors who grace the screens and to William Goldman's incredible script. We witness a back and forth sword fight in a duel as exciting as anything put on the big screen since Douglas Fairbanks; Wallace Shawn's vocal turn is a delirious and hilariously energetic masterclass in verbal communication; we care deeply for each character and their fate as, little by little, each twist and turn is plotted out in front of us. We may finally get the ending we were expecting but it is delivered to us in a manner we may not have ever expected. There's a lot going on beneath the surfaces, something many have (incorrectly) read as being a spoof or parody of the fantastical form - a bizarre reading of one of the most sincere films to have ever come to life in American cinema history. As Inigo Montoya faces death, believing to have failed his father by not inflicting vengeance in his name and honour, the Spaniard's response is heart-breaking in its brevity: "Kill me quickly". Hatred and sorrow have consumed Montoya's heart and come to define him yet, in this moment, he is rendered impotent and useless - was his life really so worthless? His head hangs low, ashamed and overcome with profound grief. Its a fleeting, subtle moment but one which is much closer to high art than cynical satire. It is impossible to imagine a heart so cold as to not be moved infinitely and forever when Montoya comes face to face with the six-fingered man he has been pursuing his entire life. Mandy Patinkin, in the role for which he will forever be associated, brings unspeakable pathos, wit and warmth to a character who will be eternally cherished by those fall head over heels in love with William Goldman's incredible story. 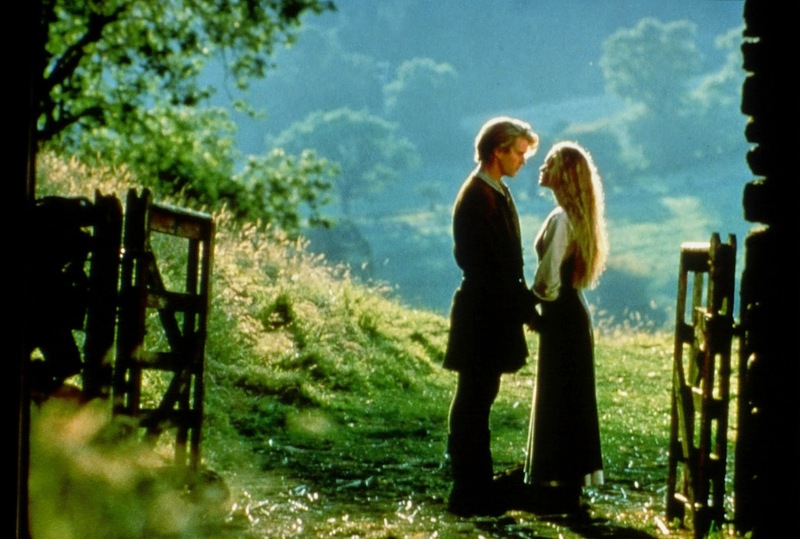 The Princess Bride is a fairy-tale of wonder, a celebration of romance at its most fantastic, and a reminder, too, that the strongest love can be found in the world around us. A grandfather's unyielding patience is, in its own quiet manner, as impressive as anything we can conceive of in the infinite splendor of our minds. As he narrates the eponymous tale to his grandson, we witness a true love story. Will he return to re-read the book the following day his grandson wonders? An affirmative answer is inevitable and, as he replies "As you wish", we know what he meant was "I love you". This is true love, the type found in storybook stories but as real as real can be. Even more remarkably, inconceivably, this type of love does happen every day.